Amnesty International says ex-rebel government jails at least 10,000 political prisoners to 'silence dissent'. 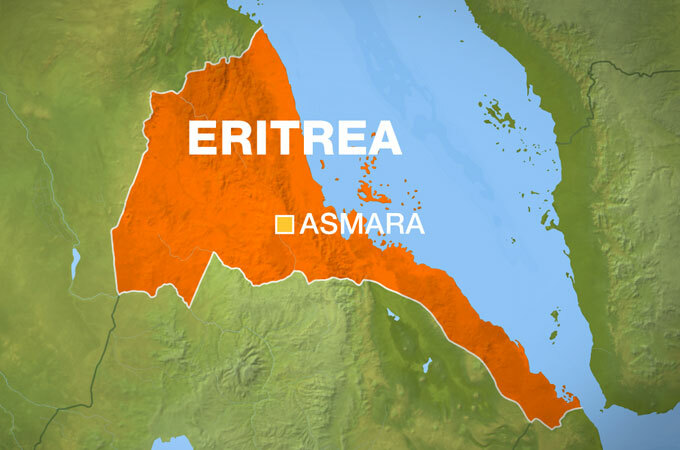 Eritrea's hardline regime has jailed at least 10,000 political prisoners, many in "unimaginably atrocious conditions", rights group Amnesty International said in a report. With political opposition banned, independent media quashed and religious minorities targeted, the ex-rebel government uses a system of underground cells and shipping containers to house the prisoners, the report released on Thursday said. "The government has systematically used arbitrary arrest and detention without charge to crush all opposition, to silence all dissent, and to punish anyone who refuses to comply with the repressive restrictions it places on people's lives," said Claire Beston, Amnesty's Eritrea researcher. The report says "at least 10,000" prisoners have "disappeared into secret and incommunicado detention" in the Horn of Africa nation, but warns it is impossible to know the exact figure. The report was released ahead of Eritrea's celebrations of 20 years of independence on May 24, which followed an overwhelmingly vote by the people to split from Ethiopia after years of bitter war. Eritrean rebels battled far better equipped Ethiopian troops -- backed first by the United States, then the Soviet Union -- for three decades until victory in 1991, which was followed by a referendum two years later. A subsequent border conflict with Ethiopia from 1998-2000 still simmers, which analysts say Asmara uses as an excuse for its continued iron-rule. "Twenty years on from the euphoric celebrations of independence, Eritrea is one of the most repressive, secretive and inaccessible countries in the world," Beston added. Opposition parties are banned and anyone who challenges President Issaias Afeworki is jailed without trial, often in the harshest of conditions. Reporters Without Borders lists Eritrea below North Korea as the worst country in the world for press freedom. There was no immediate response from Asmara. It is vital that your vehicle has an unmistakable title and that your auto credit is paid off or almost paid off. The obligation is secured by the car title or pink slip, and the vehicle can be repossessed in the event that you default on the credit.